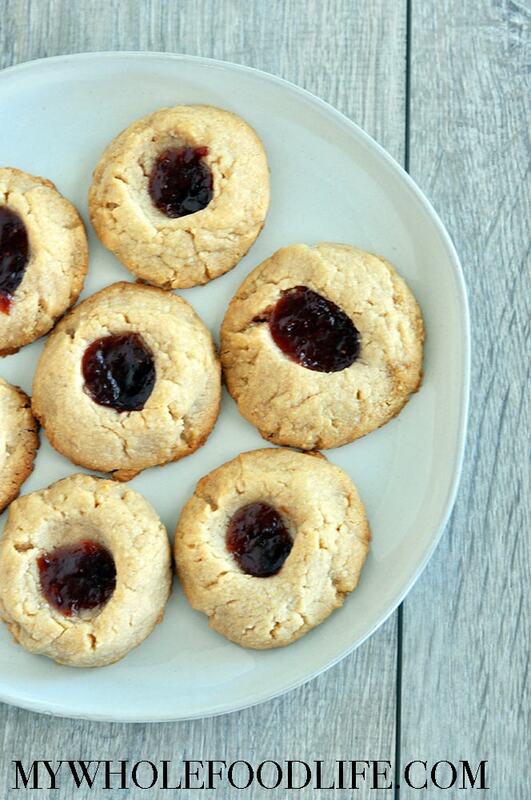 Biting into these gives you the same yummy flavors as when you eat a peanut butter in jelly. In fact, I prefer it this way over using bread. I used raspberry jam, but use any jam you like. You can even use chia jam. Looking for more cookie recipe? 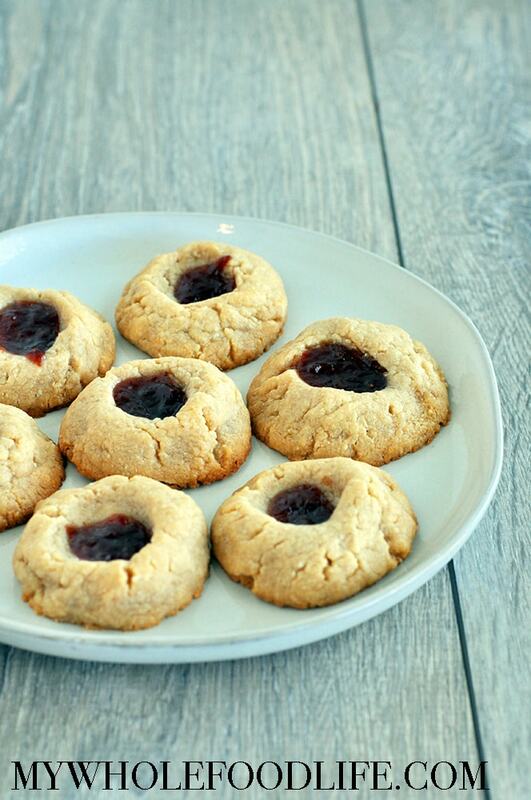 Taste peanut butter and jelly together in each delicious cookie! Add the peanut butter, maple syrup and salt to a food processor. Blend well. 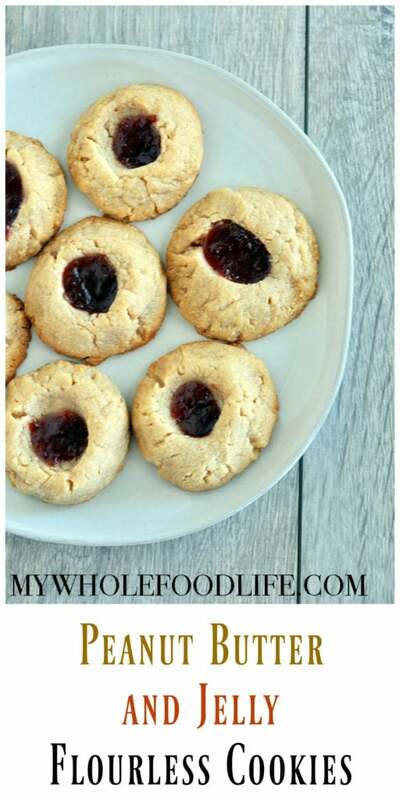 Drop a bit of jam into the center of each cookie. Let cool completely before removing. They will fall apart if they are still warm. These should last several weeks in the fridge. You can also freeze them for up to 6 months. Enjoy! !